Music is an important part of worshiping God. First Baptist Church offers three opportunities for you to worship through various music styles each Sunday Morning. 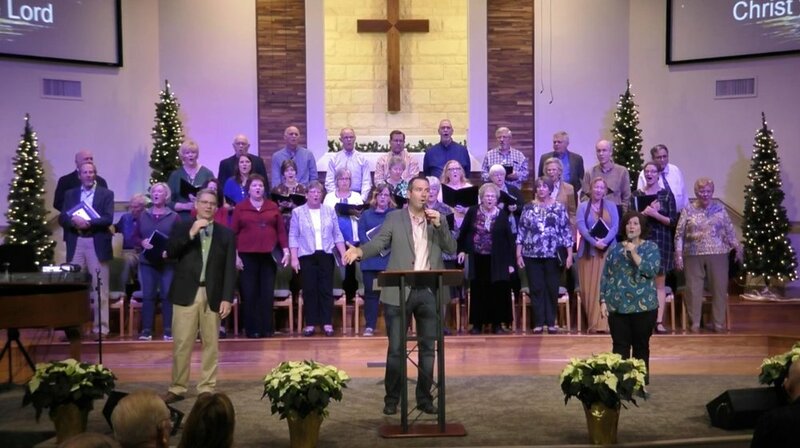 Our pastor, Jared Allen, speaks live at each service as you enjoy worshiping with your favorite style of music--whether it is music like you hear on the radio, classic hymns, popular praise songs, or a combination. We have a place for you at FBCRR. The Music Ministry of First Baptist Church Round Rock provides a wide variety of musical opportunities for all ages, preschool through adult. Each rehearsal is filled with fellowship, preparation, and praises as we learn music that honors and glorifies God. Wednesday evening rehearsals are filled with preparation for Sunday services, worship through singing and fellowship with others. Come see what Choir is all about - 7:00 PM in the Choir Room in Building B. Our Treble Makers Choir (3's through Kindergartners) and JAM (Jesus and Music) Choir (1st-6th graders) rehearses Sundays from 4:45-5:45. Enrollment is always open.